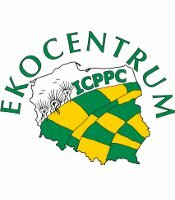 ICPPC - International Coalition to Protect the Polish Countryside - is a leading voice in raising public awareness of the importance of the small family farm in creating an ecologically sensitive, long-term solution to the countryside, which avoids the destructive consequences of CAP policies. ICPPC is non-governmental organization and co-operates with all who want to promote and protect the Polish countryside's natural and cultural biodiversity. ICPPC was initiated by 41 organisations from 18 countries in 2000. Its founder and Vice President is Jadwiga Lopata and the President is Sir Julian Rose. "ICPPC 10th Anniversary Conference and 21st Century Manifesto for Food & Farming"
We have just completed a very successful international conference entitled "Food Sovereignty, Self Sufficiency and the Family Farm" which attracted participants from India, Russia, England, Wales, Canada, Holland, Sweden and Germany. Polish participants came from many Provinces. “FOOD SOVEREIGNTY, SELF SUFFICIENCY AND THE FAMILY FARM.” An International Seminar on the occasion of the 10th Anniversary of ICPPC. Poland has a unique countryside - with very rich wild nature, beautiful landscapes, cultural traditions and many generations of farmers who love their work. It's a national treasure. However decisions made in Brussels over the past decade have dramatically degraded the life and quality of the Polish countryside and its food. The protection of the natural wealth and diversity of the countryside and the food security of the nation is a vital issue for Poland, but so it is for all countries. In order to help realize the goal of protecting our countryside and food chain, we created in November 2000 the International Coalition to Protect the Polish Countryside (ICPPC). The coalition was initiated by 41 organizations from 18 countries.